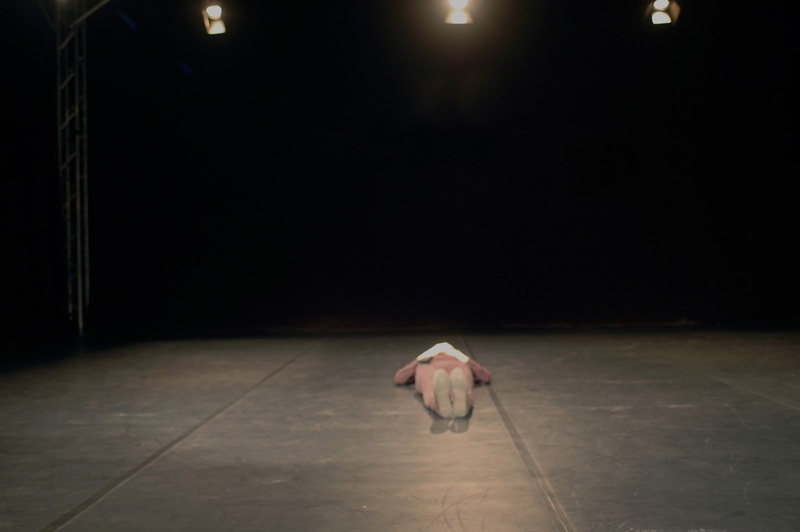 Dead Thinking externalizes the actual performance to an imagined (and equally existent) black box under the black box of the theatre, one with the same dimensions, but fully dark, material, filled with biological density—the real black box. 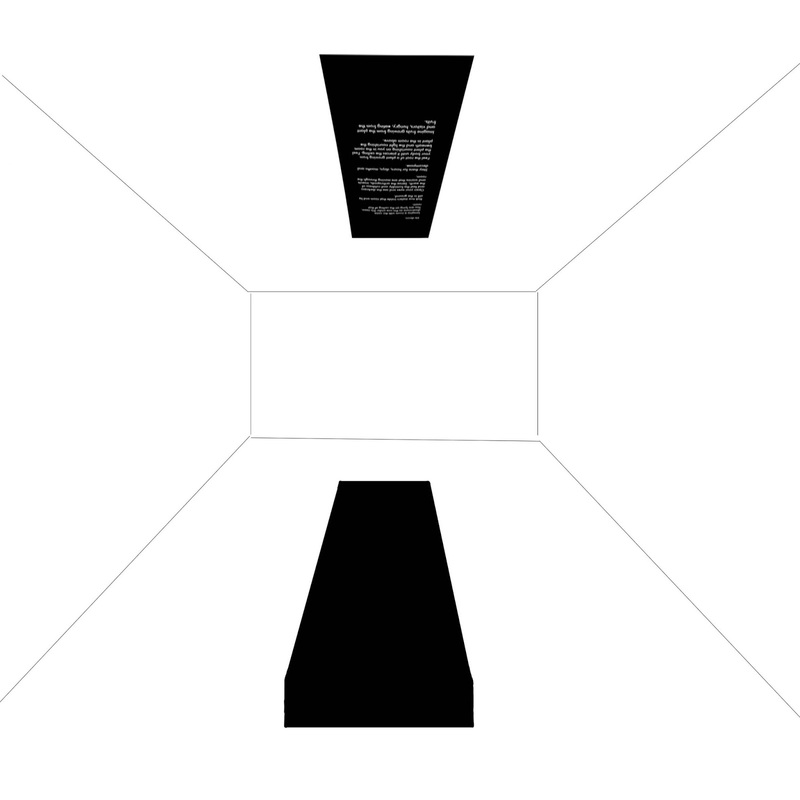 The material aspects of the real black box underneath get mixed up with the apparent abstraction of the actual black box, and vice versa. 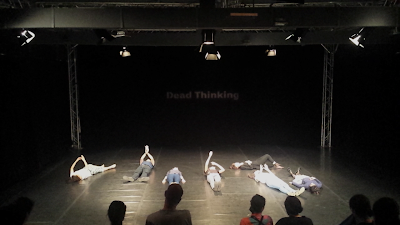 Dead Thinking constructs through language something real but that doesn’t reveal itself to immediate, live experience. To perform deadly or pathologically is to externalize the performance to the understage of worms and other minuscule animals, of extremophiles that will outlive the human species. Dead Thinking is the attempt to live, think and act from the perspective of the current gloomy ecological conditions. In the wake of the coming catastrophe as a result of climate change and global pandemics a new mode of thought and action must emerge, another subjectivity haunted by its other, by what remains outside the reach of experience. White cube version performed at Atelier 35, Bucharest. Connected to the performance Dead Thinking by Florin Flueras.